Regardless of your culinary tastes, you simply can’t turn down South Korean food! 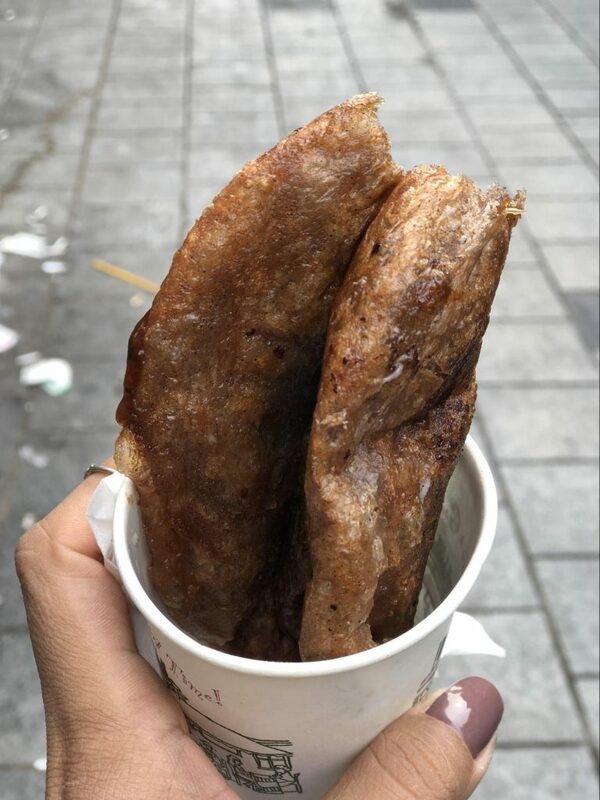 All biases aside, through conversations with South Koreans and foreigners about their love for food, a general appreciation for South Korean food seems to be universal. Sure, maybe a few dishes won’t suit your taste buds, but the majority of dishes will be a smart choice for your stomach. South Korea also accommodates for a number of dietary preferences – although a haven for meat lovers, the country is also a safe and delicious bet for vegetarians as a number of dishes are based on a variety of vegetables. Essentially, whether you are very particular or eat whatever is given to you, South Korea will cater for everyone. Enjoy some pork, chicken or beef along with garnishes of lettuce leaves, garlic, kimchi, bean sprouts, and chilli paste, and you’ve got a combination you can’t beat. Take a piece of meat and wrap it in lettuce with the garnishes of your choosing. It’s an endless supply of side dishes, so dig in. 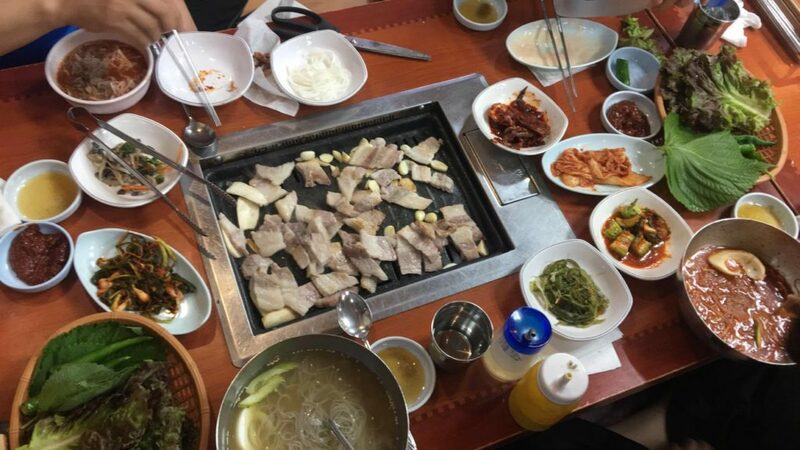 Some of the most popular items at a Korean BBQ restaurant include: samgyeopsal (삼겹살 – slices of pork belly), bulgogi (불고기 – beef marinated in sweet soy sauce, sesame oil, vegetables, and garlic before being grilled), dwaeji bulgogi (pork meat), and galbi (갈비 – marinated short ribs). While this isn’t an extensive list, you’ll have a enjoyable experience by ordering these for your table. Korean BBQ will cost around 10,000-20,000 Won (£7-£14/$10-19/€8-16) per person. – 대삼식당 (Daesam Restaurant) in Nonhyeon. They don’t take reservations, so get there early. South Korea has perfected their way of cooking fried chicken. The quintessential flavour is a sweet and spicy sauce called yangnyum. Other popular marinades for Korean-style chicken are soy sauce and garlic. 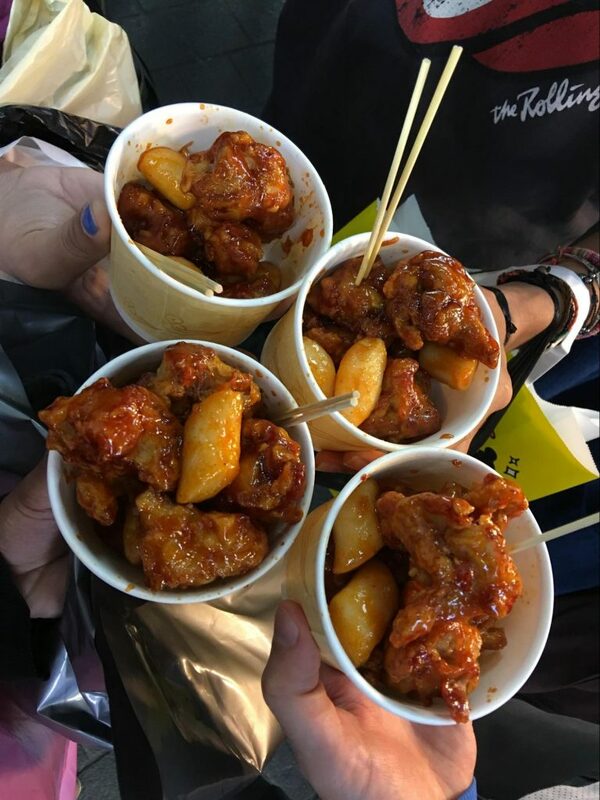 Fried chicken is a pretty huge deal in South Korea! With about 50,000 fried chicken restaurants throughout the country, it’s impossible not leave satisfied. Cost: around 12,000 Won (£7/£$11/€9) for a whole chicken. 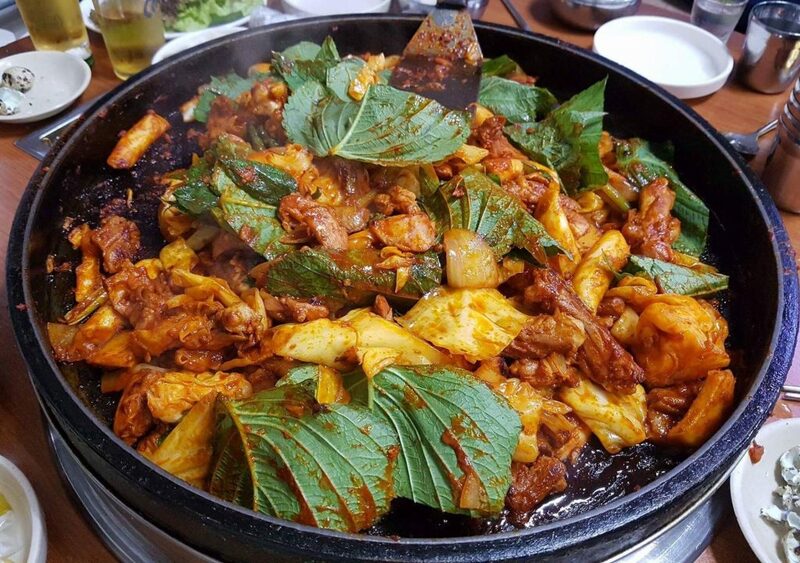 Dak-galbi is a large dish that is that is enjoyed amongst 3-5 people. 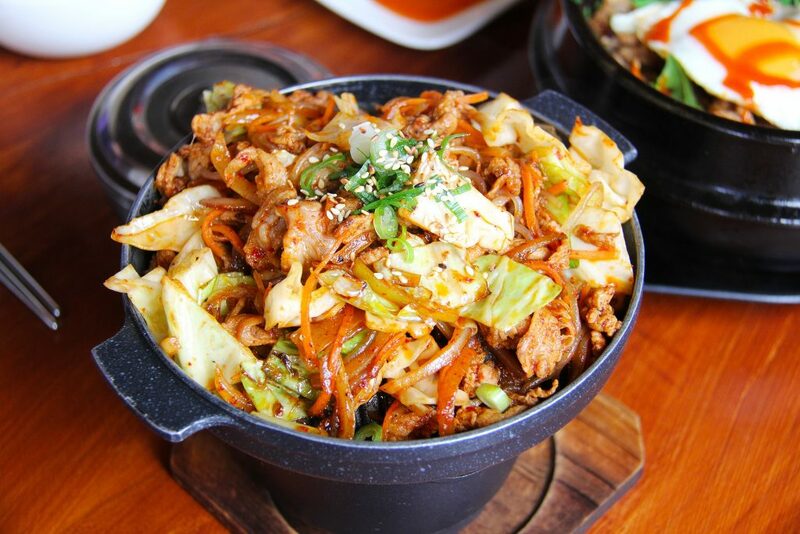 Essentially, it is a large communal skillet made with stir-fried spicy chicken and loads of vegetables, rice cakes, and noodles. Dak-galbi is not one to be shared in silence; expect this dish to be a conversation-starter at most South Korean gatherings, while most foodies enjoy the warmth that radiates off the skillet. Rice is at the heart of South Korean cuisine. Expect this staple at breakfast, lunch and dinner. We South Koreans love our rice similarly to how most French people love their baguettes. Bibimbap is a rice bowl topped with eggs and fresh produce – it is a vegetarian’s first love. The average restaurant will serve this dish in either a regular bowl or a hot stone pot. The presentation alone is great to look at with all of its colours, but if that doesn’t captivate you then the taste will. Another upside to this dish is that you can control the spice content. So, you can add as much gochujang (고추장) – a red spicy chili paste – to your heart’s content. Also, note that this dish sometimes comes with meat, although, a meat substitute is easily available. If you think this is simple sushi, you’re not alone. Even though there are similarities between Kimbap and sushi, there is a difference that cannot be confused. Kimbap is sweeter than its Japanese friend, and incorporates cooked or preserved items instead of raw fish. With dried seaweed on the outside and rice on the inside, vegetable, meat and seafood combinations are aplenty. South Koreans often bring Kimbap to picnics – do the same when you are visiting and you will fit in easily! In order to find a good spot, write down “김밥천국” and show a local. They will be able to point you to the nearest place that serves Kimbap. Kimchi is a staple South Korean dish made from seasonal vegetables and salt. Kimchi can be fresh or fermented, which produces a really sour – but pleasant – taste. Spicy and non-spicy versions are common. Kimchi comes in various styles and tastes, so enjoy trying them all to find out which one is your favourite. As with every country, South Korea conjured up their delicious version of fried rice by throwing in one of our favourites: good ol’ fermented kimchi. 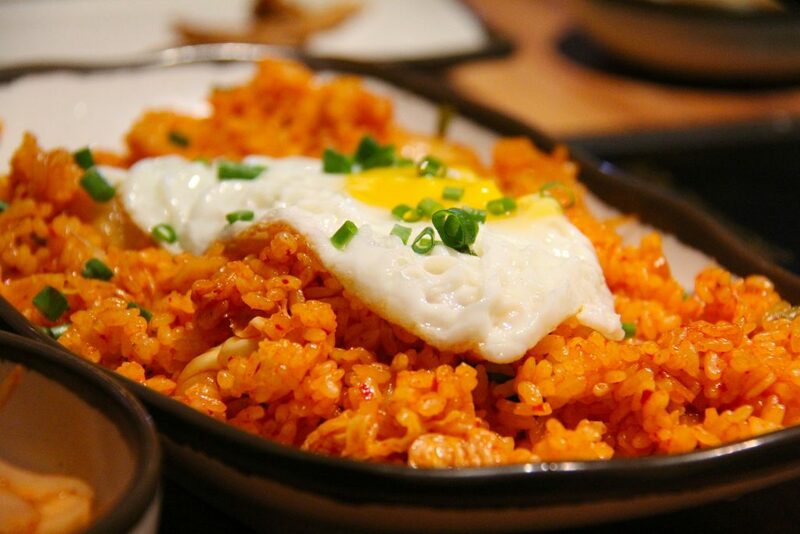 Consider kimchi fried rice our comfort food! If you decide to test out the dish by yourself, add the usual ingredients of vegetables and meat, but don’t forget to top it off with a sunny-side-up egg. Mix it all up to blend in with the locals. In order to find a good spot, write down “김밥천국” and show a local. They will be able to point you to the nearest place that serves Kimchi fried rice. 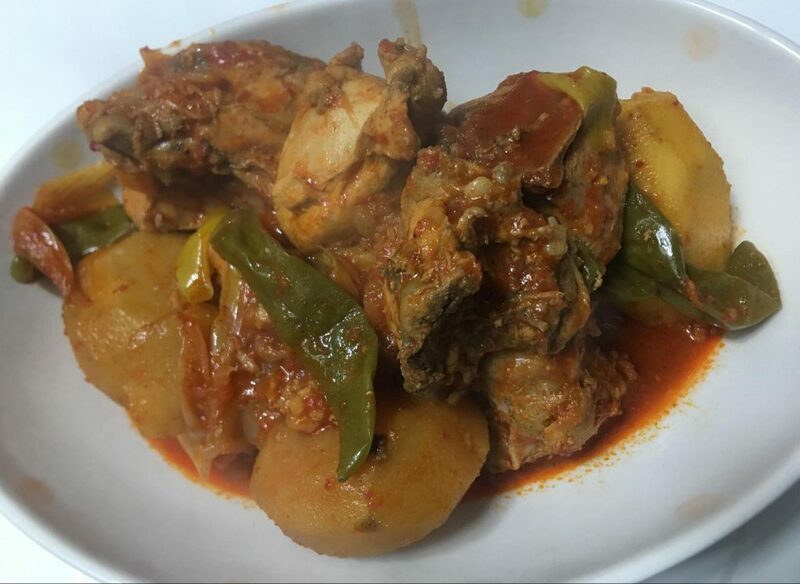 Stews are the backbone of the Korean diet, so you cannot claim that you’ve been to South Korea unless you have tried at least one. Preferably, you will pair a stew or soup with rice, but stews are the perfect remedy for when you are sick too. Finding a way to add our beloved staple to every dish, overly fermented kimchi is the main contender for this stew. A boiling hot stone pot will be brought to your table to kickstart the excitement of your meal. Daenjang jjigae is a fermented-bean paste and tofu stew – another vegetarian’s go-to dish. If you are a foodie – especially when it comes to Korean food – there’s no way you won’t enjoy this. You’ll love trying this dish at “솔나무길 된장예술” (Solnamugil Daenjang Yesul), located at Hyewha Station exit 3. 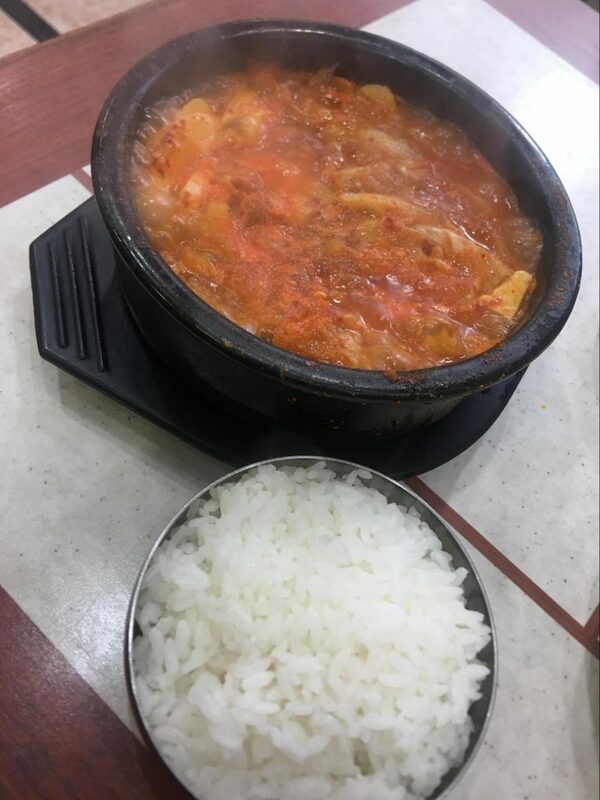 Consisting of tender pieces of chicken that falls off the bone, Dakdori-tang is halved potatoes, onions, and carrots in a spicy delectable sauce. The redness might scare you off if you don’t like fiery foods, but it’s more flavourful than spicy. This stew will leave you wanting more. Noodles are fundamental to South Korean cuisine, locally referred to as guksu (국수) or myeon (면). Koreans have a variety of dishes which incorporate noodles in a distinctive fashion. An ice-cold clear broth with cooked chewy buckwheat noodles, the best time to eat naengmyeon is during the wintertime. Although South Korean winters are usually extremely cold, having cold naengmyeon is personally therapeutic and one for the books. However, do not hesitate to enjoy the dish in the summertime too! If you prefer spicy food with less broth, bibim-naengmyeon (비빔 맹면) is a great alternative; it is the same dish but with red chilli paste. Try out Seoul Naengmyeon “서울냉면”. This restaurant is a 5 minute walk from Gangnam-gu Office station, exit 3. Japchae is a mixture of noodles, soy sauce, garlic, and sesame oil. Since this dish is made with mung bean noodles, it absorbs flavour; adding vegetables or meat of your choice will only enhance the dish to your liking. Popular among many who live in the West, Japchae can be served either as a meal by itself or as a side dish, ban-chan (반찬). 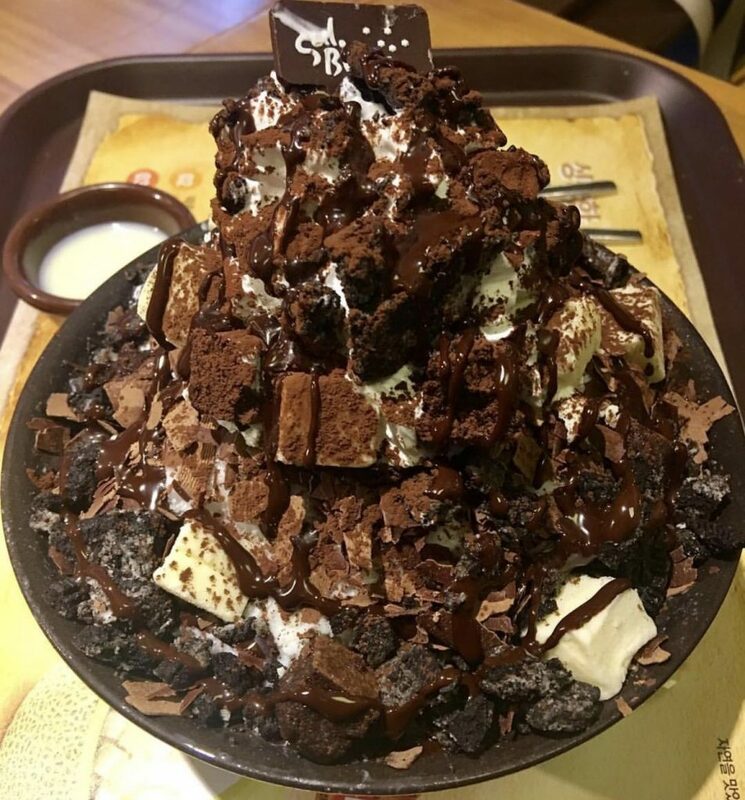 Bingsu is one of the most iconic and luxurious desserts in Korea. It’s a milky shaved ice overloaded with a generous amount of fresh fruits, chocolate shavings, brownies, or many other toppings. The presentation is enticing and the taste is even more riveting. Cost: around 9,000 Won (£6/$8/€7) for a generous size bowl. The best place for this dessert is any of the Sulbing locations. 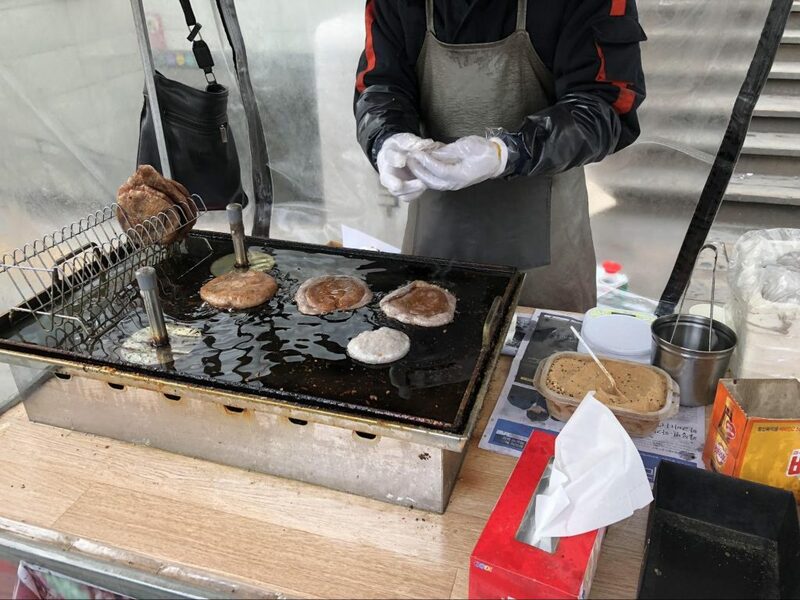 Served best in the fall and winter seasons, South Korea’s sweet pancake is one of the country’s many popular street food snacks. Pancakes are stuffed with dark brown sugar, cinnamon powder, and grounded nuts or seeds. It smells and tastes heavenly. By the time you enjoy it, the sugar would have turned into a delicious thick syrup. Unless you’re allergic to any of the ingredients above or are seriously cutting out sweets, don’t experience FOMO and grab one as you explore the city. Cost: around 1,000 won (<£1/$1/€1) = winning! Hotteok is extremely popular on street cars in Seoul. A few favourites are: - Wangsimni Station, exit 13 - Insadong - Myeongdong station, exit 6 South Korean cuisine is a delightful array of options for meat and vegetarians alike. Once you’ve eaten your way through this list, there are plenty more dishes for you to try - just walk into any restaurant in South Korea and mentally prepare yourself for the enjoyment that awaits. What is your favourite South Korean dish? 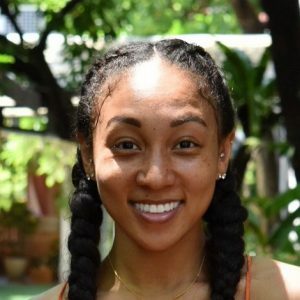 Rebecca Chapman is a Black and Korean English Teacher living in South Korea. 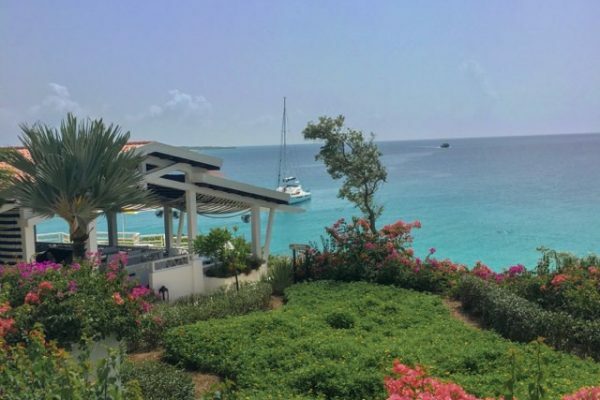 A lover of travel, books, history, food and genuine connection, she appreciates the simplicities of life as well as its wonders, beauty and melanin. She’s on a mission to explore them all.